Now that your Singapore-registered company is up and running, and you’re in the city-state doing business (or making money), what’s next? We enumerate a few things below that you should pay attention to, or else hire a credible company registration and business specialist to help you out. Since all companies registered in Singapore must keep proper books of accounts as stipulated by the Singapore Companies Act, engaging a Singapore company registration and business specialist to help with your taxes, accounting and other corporate services is a good idea. This will help you fulfil the compliance requirements stipulated by ACRA and IRAS and avoid unnecessary penalties. 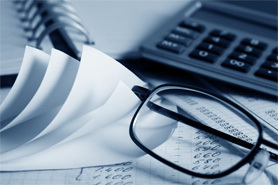 Generally, the services provided include maintenance of the general ledger, accounts payable ledger, and fixed assets ledger; maintenance of accounts receivable; bank reconciliation; cash flow /budgeting; financial statements & monthly reports monthly; quarterly and annual reviews; books clean-up; management reporting and financial analysis. Importantly, with effect from December 2, 2013, Singapore companies which are either unlimited or limited by shares are required to file a full set of financial statements in XBRL format, according to a minimum requirement list within the new ACRA Taxonomy 2013. XBRL (Extensible Business Reporting Language) is an open-source software that enables the organization and management of financial data for research and analysis. It also facilitates the communication of financial information online and amongst businesses with significant accuracy and reliability. An additional headache when your company’s headcount begins to grow is managing the payroll while ensuring the regulatory requirements. This is a cumbersome process because calculating, processing and reporting payroll components such as government remittances, benefits, allowances and deductions must be done with proper care. Please note that under the Employment Act, companies must pay their employees correct salaries within 7 working days after the end of the salary period. Failure to pay salaries in accordance with provisions of the Act is an offence. There are also few statutory requirements for employers in Singapore as regards to their contribution per employee. First is the Central Provident Fund (CPF) contributions, which are payable to Singapore Citizens and Permanent Residents. The employer is required to pay the employer’s and employee’s share of CPF contributions monthly for all applicable employees. The CPF contribution is determined according to the rates set out in the CPF Act and are based on the employee’s actual salary earned for that month. The employer may deduct the employee’s share from his salary. Second is the Skills Development Levy (SDL), which is used to fund the Skills Development Fund which supports workforce upgrading programmes and provides training grants to employers. 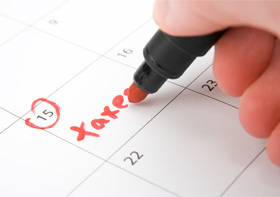 Another mandatory requirement is tax filing. 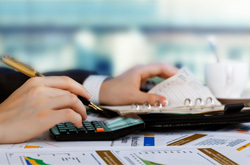 In this too, a credible company registration and business specialist can assist in dealing with all the tax aspects of your business including statutory tax filings, identifying tax efficient strategies, and personal and corporate tax compliance. Goods and services tax (GST) registration, property tax, stamp duty, trust tax and partnership tax is also normally taken care off. 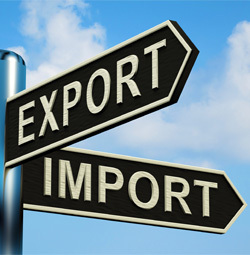 If your company is engaged in export, import or trans-shipment activities in Singapore, you are required to register the company with the Singapore Customs as an importer, exporter, common carrier and others. Earlier, Singapore Customs used to issue a Central Registration Number (CRN) to Singapore companies/organization engaged in trading activities. But since January 1, 2009, Singapore Customs has implemented the use of Unique Entity Number (UEN) in place of CRN. Now, UEN has become the standard identification number for entities to interact with government agencies. The ACRA registration number, received at the time of company/ business registration is retained as the UEN for local companies and businesses. Finally, an important consideration for a Singapore-based company is its trademark registration. Trademarks are signs used by a business or trade to distinguish their goods or services from those of other players in the market, and are important for a company to protect its ideas and develop a brand. The benefits of registering your trademark not only includes international legal protection against infringements, but also extends to tax rebates as businesses can use the Productivity and Innovation Credit (PIC) scheme to offset costs incurred in the registration. 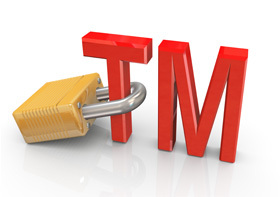 Commonly-used symbols to identify a trademark are ® and TM. While ® refers to a registered and protected trade mark pursuant to trade mark laws; ™ merely identifies that the mark is being used as a trademark by the owner but is not necessarily registered or protected under trademark laws. Once all the above is taken care off, renting or buying an office space may be your last act. With property cooling measures implemented by the government over the course of last few years taking their toll, prices of commercial establishments have gone down considerably in Singapore. You may consider shifting out of the central business district (CBD) and to the suburbs, if your business is not so much location-based. The rates in suburbs are considerably lower as compared to the CBD in the city-state. This may affect your bottom-line a great deal. 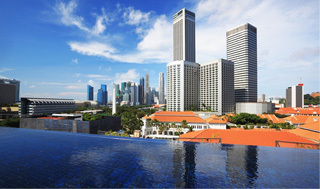 Remember, relocating your existing business to Singapore or starting a new business there, may prove to be the most beneficial business decision you ever made! 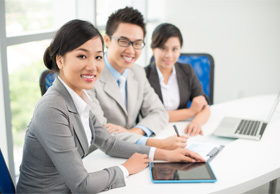 Need help with your post-incorporation needs in Singapore? Contact us now.